Virgil van Dijk looks pretty unfazed by the fact he’s going to become the world’s most expensive defender in a few weeks’ time. Both Liverpool and Manchester City are desperate for the Dutchman, who was again left out of Southampton’s Match Day squad today. While his Saints team-mates were getting battered by Spurs at Wembley though, van Dijk was enjoying his Boxing Day without a care in the world! 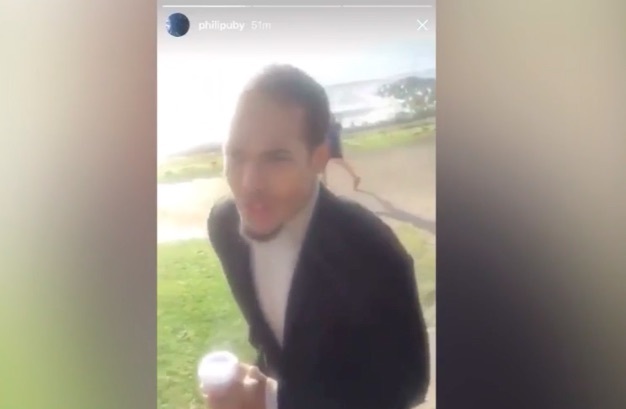 A video has surfaced on Instagram of van Dijk strolling along the south coast with a friend, toasting to happiness. With any luck, he’ll be a Liverpool player before the end of January.